Spotted in the window of the new condos going up on the corner of St. Johns Place and 5th Avenue. 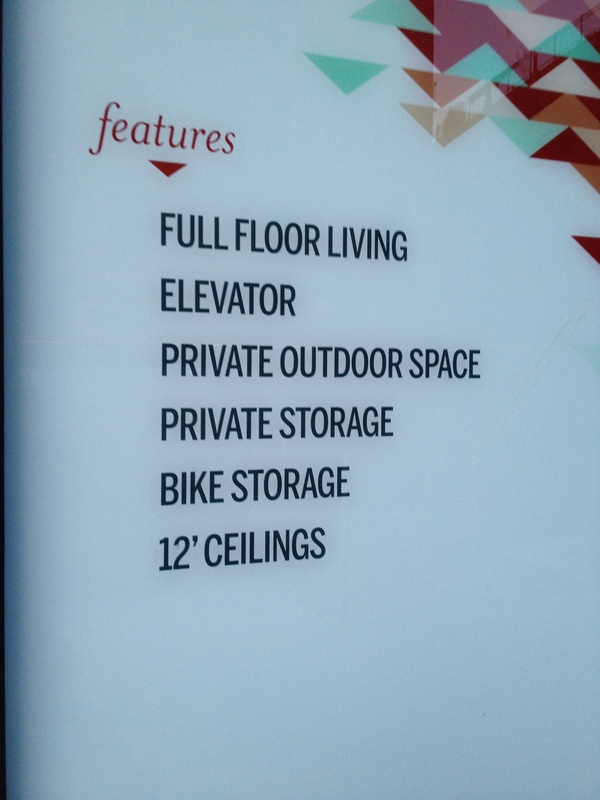 I’m starting to notice that bike storage, which in this condo is listed as a separate amenity from private storage, is becoming an increasingly common marketing tool in Brooklyn real estate these days. If cyclists are an indicator species for a healthy city, then ads like this are their own indicators.